The 1988 Winter Olympics were held in and around Calgary, Alberta, Canada from 13 to 28 February 1988. 57 nations and 1,423 athletes participated in those XV Winter Olympics, with 5 countries making their debut in the Winter Olympics. The Soviet Union topped the medal table with 11 gold medals, 9 silver ones and 9 bronze medals, followed by East Germany and Switzerland. 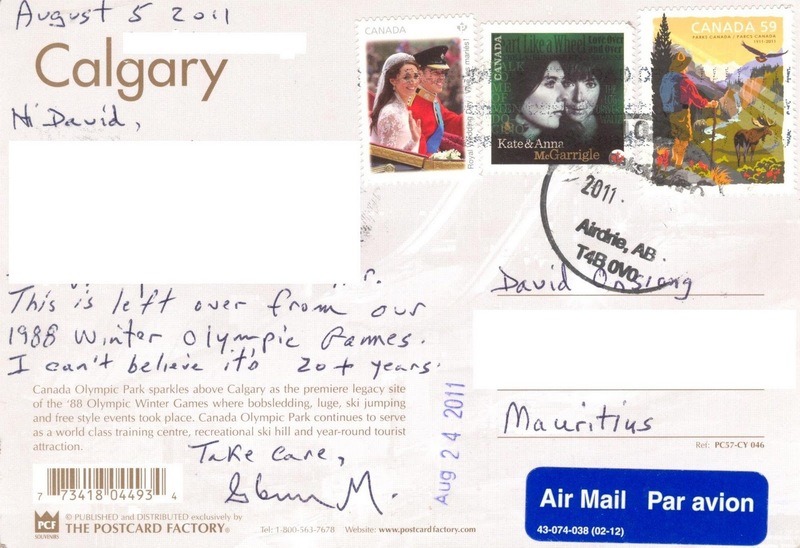 Glenn sent me an amazing postcard from Creekside, Airdrie, Alberta showing the Canada Olympic Park lit at night. During the 1988 Games, it was the main venue for bobsledding, luge, ski jumping and free style events. 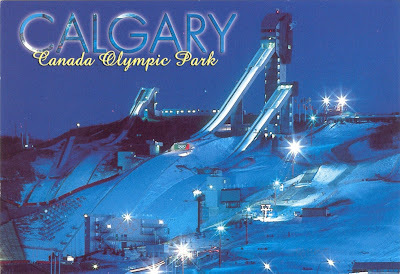 Canada Olympic Park nowadays serves as a world class training centre, recreational ski hill and year-round tourist attraction.